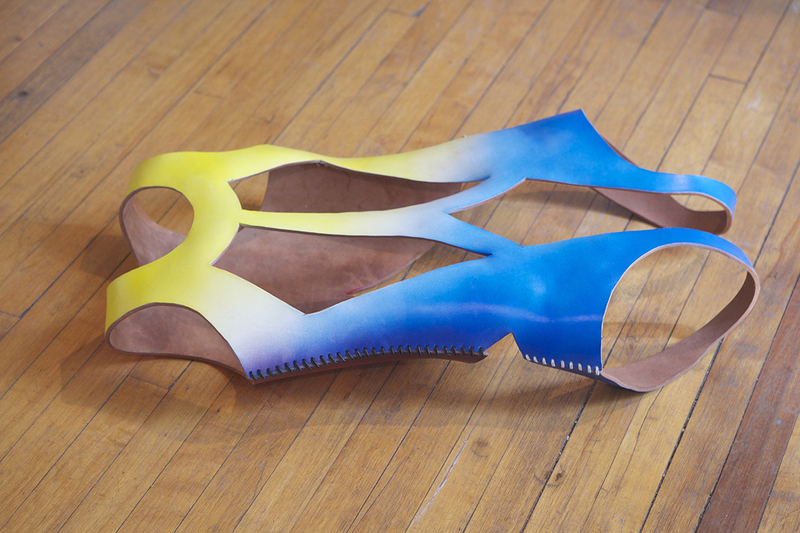 Sunday, October 18, 4:00 – 7:00 P.M.
LZR Suit, 2015, leather, paint, 32 x 18 x 8 inches. Let’s Be Honest is an exhibition of new sculptural works that utilize craft and material to address a larger conversation about gender. The works in the exhibition are influenced by feminist art traditions of the 1970’s, focusing on floral patterns, twisted knots, and references to the body. These works reckon with the sometimes uncomfortable approaches of 1970’s feminism by reexamining feminist visual cues to create a sense of ambiguity and gender defiance. Betsy Odom’s list of supplies includes foam, cork, leather, graphite, soap, wood, and more. 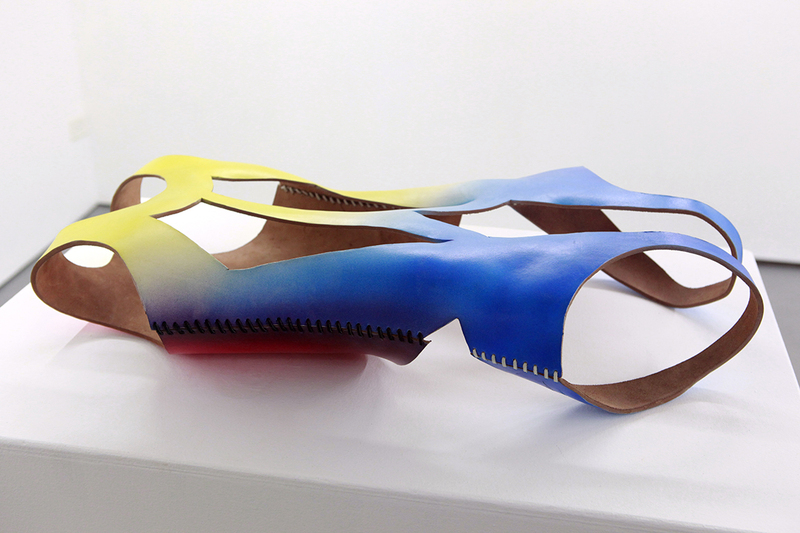 Dyes and paints color her forms even as they reveal the physical properties of her materials. Without irony, her sense of craft and impeccable construction elevate the conversation about gender beyond one of material signifiers to one that presses hard against our world. Betsy Odom was born in 1980 in Amory, Mississippi (pop. 6000). She left Amory to study art at the United World College in Montezuma, New Mexico, then at the San Francisco Art Institute where she earned her BFA in 2002. Odom completed her MFA in sculpture from Yale University in 2007. She has exhibited in several solo shows in Texas and in the Chicago area, as well as in group exhibitions nationally. 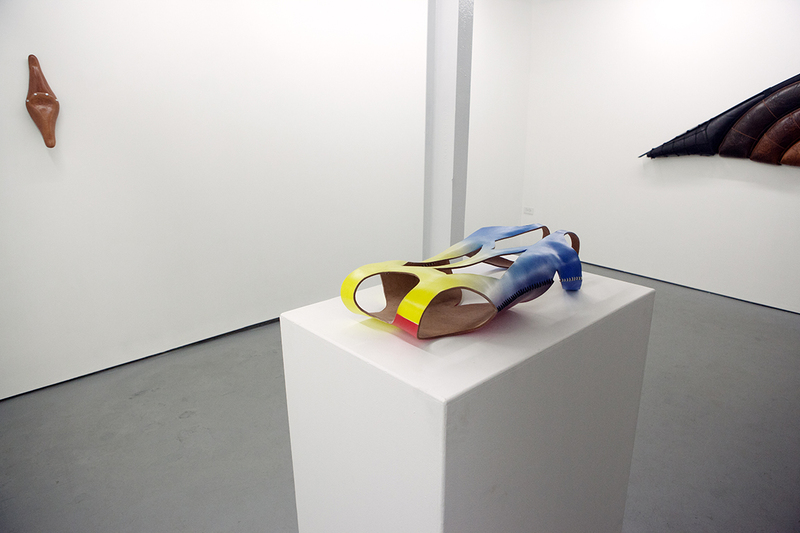 Let’s Be Honest (installation view). LZR Suit, 2015, Leather, paint. 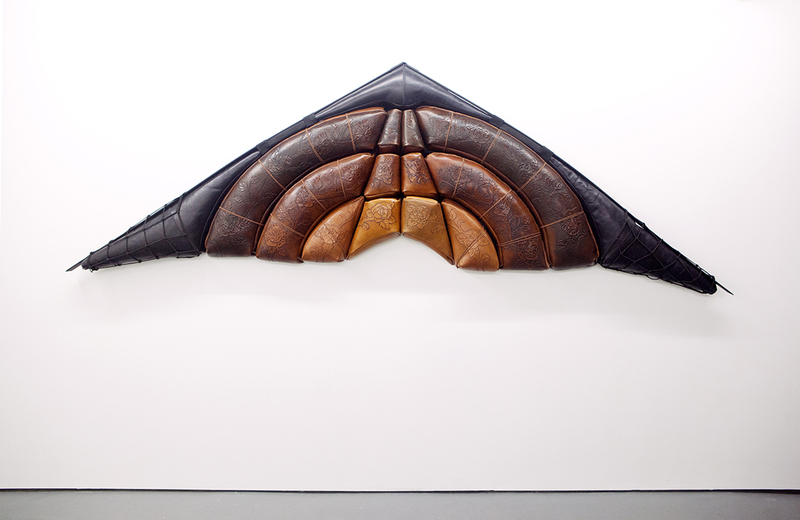 Queen of the Sky, 2015, Tooled leather, canvas, nylon strapping, wood. 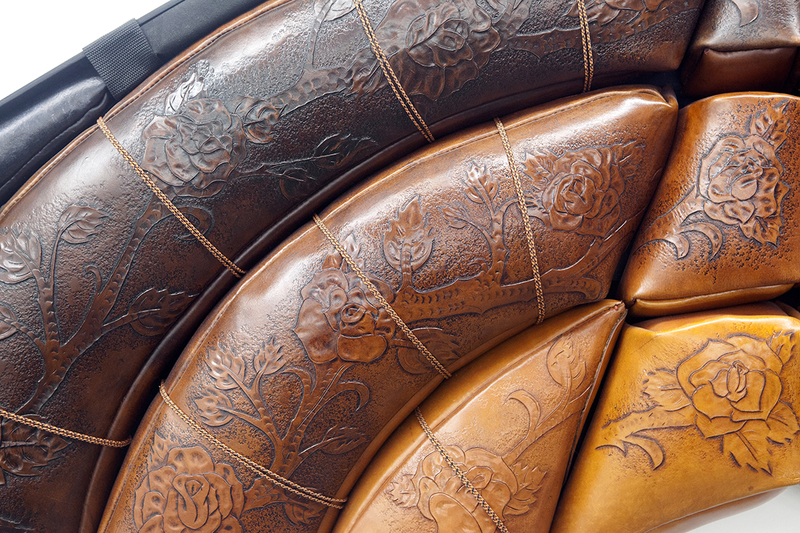 Queen of the Sky (detail), 2015, Tooled leather, canvas, nylon strapping, wood. 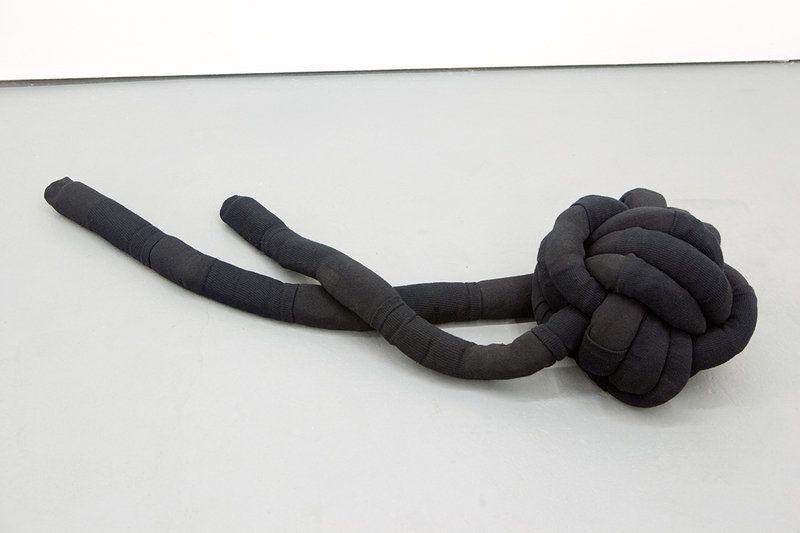 Monkey Fist, 2015, memory foam, socks.